Alan Maley’s career in English Language Teaching began with The British Council in 1962. After post-graduate training at the University of Leeds, he worked for the British Council in Yugoslavia, Ghana, Italy, France, PR China and India over a period of 26 years. After resigning from the Council in 1988, he became Director-General of the Bell Educational Trust in Cambridge (1988-93). He then took up the post of Senior Fellow in the Department of English, National University of Singapore, where he stayed for 5 years His last full-time post was as Dean and Professor of the Institute for English Language Education, Assumption University, Bangkok, where he set up new MA programmes. Since retiring from Assumption in 2004, he has occupied a number of visiting professorial posts at Leeds Metropolitan, Nottingham, Durham, Malaysia (UKM), Vietnam (OU-HCMC) and Germany (Universitat Augsburg). He has published extensively and was series editor for the Oxford Resource Books for Teachers for over 20 years. He continues to write for publication. He also remains active as a speaker at national and international conferences. Her main ELT qualifications are a Diploma in TEFLA (the RSA Dip. TEFLA, predecessor to the Cambridge Delta) and an M.A. in Applied Linguistics from Reading University.Marisa is a frequent conference presenter and keynote speaker – some recent presentations can be viewed here – and has presented at IATEFL International, TESOL France, Brazil TESOL, TESOL Greece as well as on numerous online Conferences and Events and has served as a member of the Committee of the IATEFL Learning Technologies SIG (Special Interest Group). Olja Milosevic has been involved in second and foreign language teaching at all levels in primary, secondary and tertiary education. She holds a PhD in Applied Linguistics and is primarily interested in second language acquisition and maintaining mother tongue. Olja is also interested in teacher training. 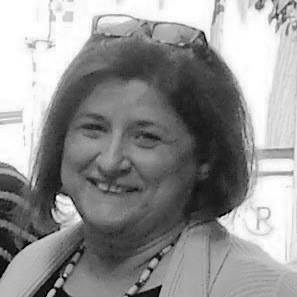 Today I am interviewing a wonderful lady from the ELT world who also happens to be president of ELTA Serbia. I think we all deserve to know her better. JJ Amaworo Wilson is a German-born, British-educated debut novelist. Based in the U.S., he has lived in 9 countries and visited 60. He is a prize winning author of over 20 books about language and language learning. Damnificados is his first major fiction work. His short fiction has been published by Penguin, Johns Hopkins University Press, and myriad literary magazines in England and the U.S.
For over a year now, I have started interviewing several people of the ELT world for the ELTA Serbia newsletter and I am now going to share these interviews on my blog. I hope you find them interesting. My first interview was with the lovely Shelly Terrell. Here it goes. Interview with Christina Martidou on the making of ‘Dylan & Lydia’ : a digital storybook for young learners of English. This is my 2nd interview in which I present another creative colleague and a very dear friend, Christina Martidou. We first met here in Thessaloniki, our hometown, and we ‘clicked’ immediately. I particularly like her inquisitive and restless spirit which led her to create, along with her sister Marina, a little ‘gem’ : a digital storybook for young learners of English, «Dylan & Lydia», which is actually the theme of our interview! I have to tell you though that this is actually a ‘double’ interview. After interviewing Christina, I asked her to interview her students who took part in the making of this storybook by lending their voices. I think she did an excellent job and we have come up with a wonderful video which I hope you will enjoy watching and which will also give you a better idea of her work.